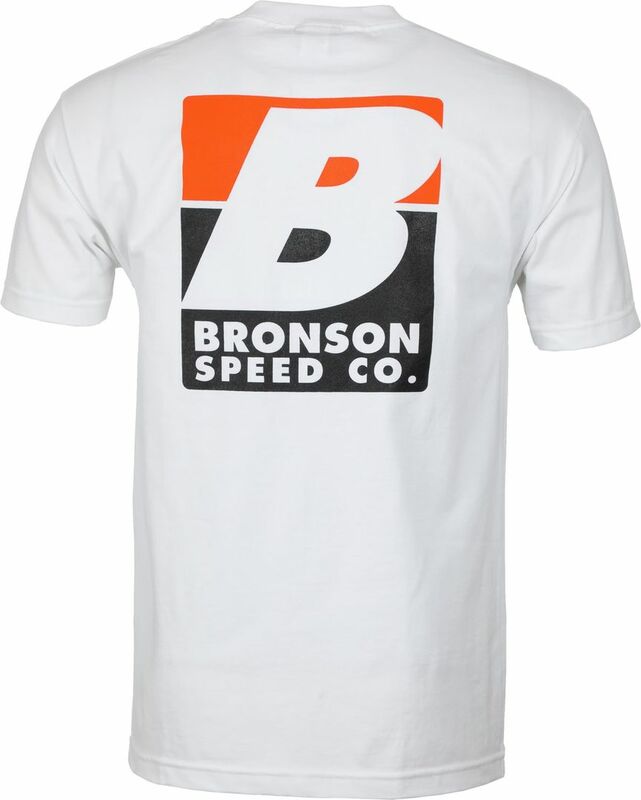 The Big B Tee from Bronson Speed Co is available in both Black and White. 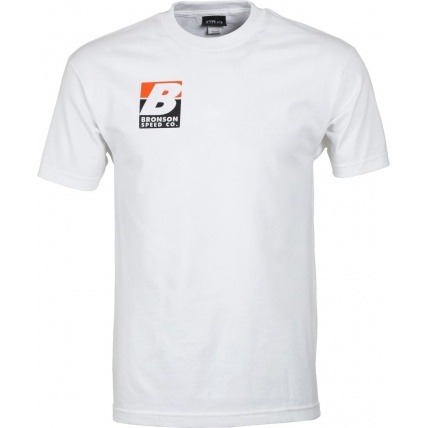 This is the White Version 100% cotton construction means that this tee is not only one of the greatest looking garms Bronson have brought out to date, but also one of the most comfortable. 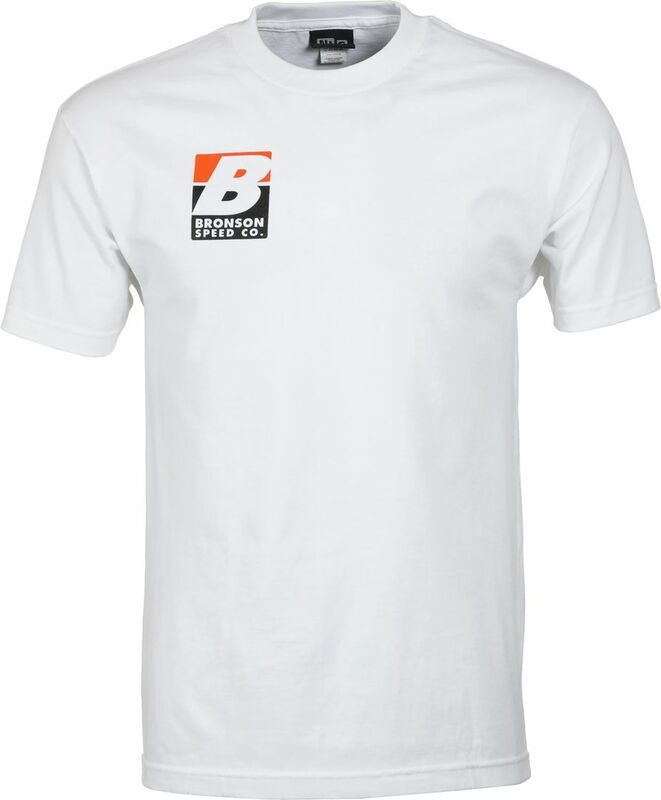 A small graphic on the front and large on the rear lets everyone else know you're the king of speed. If you don't already use them, i'd get yourself hooked up with a fresh set of the Bronson G3 Bearings too, just to see what the hype is all about! 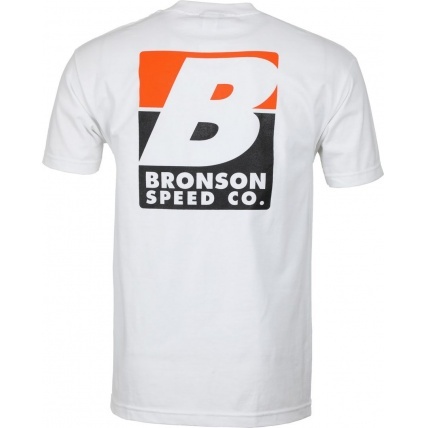 Specifications of Bronson Speed Co.